Pete Alewine Pool & Spa is proud to be the largest spa and hot tub retailer in the Aiken, SC and Augusta, GA area. With up to 15 hot tubs on the floor at one time and over 80 options across our brands – Sundance and Marquis – we can find a quality hot tub that fits your budget, style, and needs. It’s our goal to not only help you choose the perfect hot tub, but also to make the sales and installation process as easy as possible. Our staff performs a site survey of your backyard or hot tub site prior to delivery to ensure that we are well prepared when we arrive with the hot tub. Plus, with a licensed electrician on staff, we have all parts of the delivery and setup covered. We just want you to be able to kick back and relax! After the sale service is something we take pride in as well. 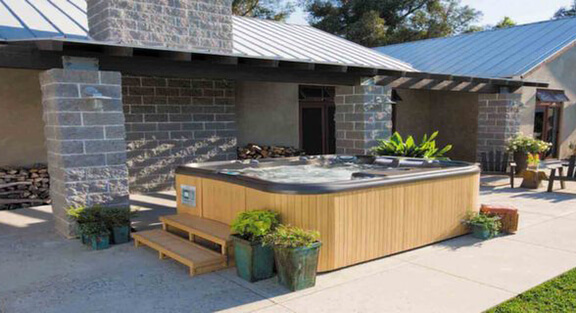 We are a warranty center for all three brands we carry and have a spa technician in our service department that specializes in hot tub repair and maintenance. Along with our on-site services, our retail stores have the chemicals, accessories and upgrades to keep your hot tub running strong all year long. 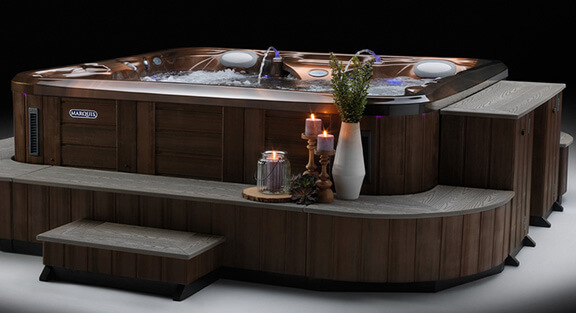 We would like to extend an invitation for you to visit our showroom where we would be happy to show you all of the benefits hot tub ownership offers, as well as answer any questions you may have. Whether you’re looking at hot tubs and spas because you want to create a attractive entertainment space for guests, or you need a quiet place to soak up some warmth while indulging in hydrotherapy and a good book, Sundance® Spas has models perfect for both. We carry cozy home spas perfect for couples and spacious models with room enough for all your friends and family. No matter what types of hot tubs you’re searching for, we offer a wide array of options to suit your needs. Marquis® is known for their unique interior color choices and the ATV™ has not been left out. All four models are available in three stunning colors, Frost White, Ocean Blue and new for 2016, Sky Blue. Water exercise or swimming laps in the comfort of your own home is easy with a swim spa. These are perfect additions for the fitness and exercise lovers who want to make the time to get things done while enjoying the privacy of your own backyard. Not only do swim spas provide the same therapy benefits as a hot tub, they also double as a pool for those who enjoy splashing around the water.